Bad influence? Undated photo of Rasputin, the self-styled monk who was killed in 1916 because of his mystic power over the Russian royal family. Photo by Associated Press. On the other side of the Atlantic, Peter Mandelson, Tony Blair’s Prince of Darkness and New Labour’s self-appointed Third Man, was admired and abhorred (often for the same cunning plan), though former Prime Minister Blair had more deputies who claimed to be his closest adviser than could fit in the Cabinet Office. Could Steve Bannon still prove to be political commentators’ pick for President Trump’s primus inter pares? Or, does his removal from the National Security Council’s cabinet-level “principals’ committee” suggest a room awaits him in a palatial Presidential dog house already boasting above-average occupancy? From cool-headed, pure of motive confidants, to scheming fixers and cunning foxes, those leading from the shadows grip us because of, not in spite of, their complexity. They are riddled with paradox, one minute carrying the bags, the next carrying the can. That which makes them good makes them bad, and vice versa. And that which makes our leaders bad, we pray can be countered by their good counsellors. Folklore fans our suspicion. From Svengali to Severus Snape, literature is littered with shadow figures of questionable motives. 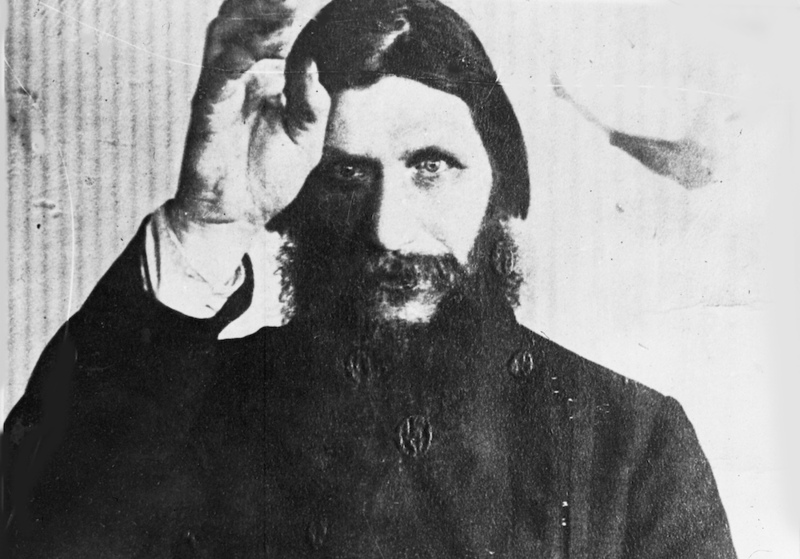 The original Rasputin’s reputation for wielding extraordinary, even mystical, influence over his leader remains undimmed, at least beyond Russia. While his influence may have been exaggerated both in historical record and in popular culture, even those who have not heard Boney M’s lyrics or seen Fox’s Anastasia should be in no doubt that the former peasant’s presence in St. Petersburg played a significant part in the increasing unpopularity of Czar Nicholas II and his wife, Czarina Alexandra. Whether or not Rasputin was in part responsible for the downfall of the Russian monarchy, the petty criminal turned royal adviser from Pokrovskoye stole a place in the history books. These pretenders to the throne have a lot to answer for when it comes to the presumption that all advisers are dark arts practitioners. These pretenders to the throne have a lot to answer for when it comes to the presumption that all advisers are dark arts practitioners. Fake twos are outliers, in my view, and do a disservice to those who serve as diligent seconds. A minority may covet the throne, but most are happier to hide behind it, whispering into the ear of the King or Queen. Of course, we need to distinguish between operating from the shadows fruitfully and from the darkness deviously, but legitimate, albeit cunning, counsellors, like Thomas Cromwell, at least in Hilary Mantel’s magnificent reading of him, know that invisibility increases utility. Staying out of shot—happily and skillfully—is one prerequisite for being an effective and trusted adviser. We would do well to keep them out of the news. Deprived of the shadows in which to do their business, they will be less effective. If we find it difficult to be certain about our First Ministers’ motives, we struggle, too, to be definitive about their contribution to the leadership. For some, Henry Kissinger will never be more than the self-serving malevolent force behind the secret bombing of Cambodia, who used his superior intellect to manipulate his man. For others, he remains the master diplomat who, despite a career enduring his President’s mistrust, movingly invoked at Nixon’s funeral Hamlet’s observation about his father, the late King: “He was a man, take him for all in all, I shall not look upon his like again.” All in all, we are left to question whether Kissinger was Darth Vader-like, an irrepressible force that drew Richard Nixon to his darkest side, or more of a sense maker helping to shape and secure his President’s legacy, loyal to a fault. Is it wise to deny our lonely top dogs the support and candor of a true friend? Franklin D. Roosevelt’s first friend and fixer Harry Hopkins attracted the deep envy of others seeking the President’s ear. Defending his decision to invite Hopkins to live in the White House, Roosevelt suggested that almost everyone who walked through his Oval office wanted something out of him. Not so Hopkins, whose only request was to be of service to him, according to his biographer David Roll. Should we limit Ivanka Trump’s ability to moderate the wilder ideas of the Oval Office’s current occupant, or might it be wise to give the president’s daughter unencumbered access and free rein to rein him in? “Where I disagree with my father,” she told CBS News anchor Gayle King, “he knows it and I express myself with total candor.” Even China’s all powerful President Xi Jinping has created an inner circle of former colleagues and friends, those whom he believes best understand his personality and preferences. Total candor is a currency to be coveted. Are we being candid or are we trying to have it both ways? Volatility fuels our own sense of vulnerability so, in times of uncertainty and chaos, we seek saviors to steer us out of trouble. Small wonder that our leaders sometimes take on cult-like status or bloated self-importance. Yet we set impossibly high expectations of our leaders because, rationally, we know they cannot possibly rescue us single-handedly. How disingenuous of us, when we choose to subject those holding primary power to more rigorous scrutiny, to declare our disappointment with their lack of competence and credibility. We should expect and demand of our leaders’ behavior that is consistent and predictable over time, and when we witness behavior that is predictably inconsistent our anxiety is compounded and our concerns justified. Leaders show weakness when they centralize power, shoot from the hip, choose to fly solo. That is when we look to those in the leader’s inner circle to anchor him, shielding him—and us—from the worst version of himself. Machiavelli had it right. We should judge our leaders on the counsellors they elect to have around them. If we become as fearful of our seconds as we are distrustful of our firsts, we should take responsibility when our leaders fail us. Confidants, counsellors, and consiglieri, whether spouses, friends, former rivals, or deputies, are back in vogue for good reason. They have the courage to speak truth to power, the ability to enlighten their leaders, and to play to their leaders’ strengths whilst insuring us against their limitations. We need our seconds more than ever. “The only way I can express my gratitude to Your Majesty is to shed my blood for Your glory,” Potemkin wrote to Catherine the Great. Most seconds may not wish to spill blood for their bosses, but the majority are driven, selflessly, to lead them as close to glory as they deserve, and sometimes to glory that they do not. Richard Hytner is the founder of creative management consultancy Beta Baboon, Adjunct Professor of Marketing at London Business School, and author of Consiglieri: Leading from the Shadows (Profile Books).